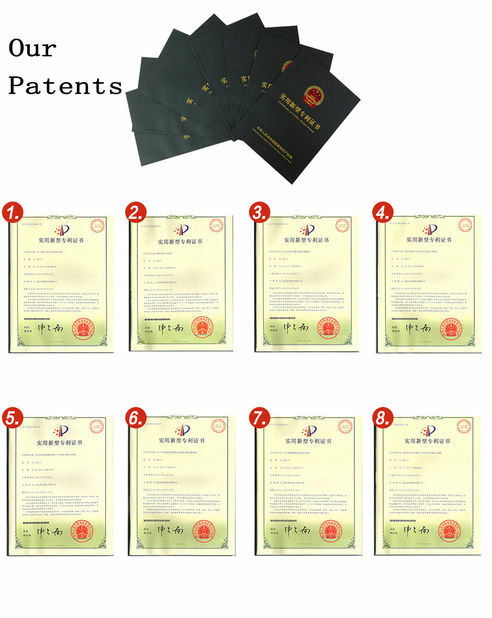 For the massive packing goods and the mass is large, the vertical drop height is relatively low in the transportation and handling. 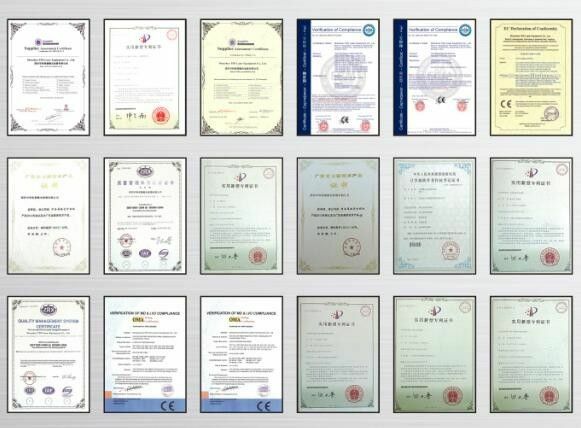 So the Standard Free Drop Test Equipment for Heavy Packaged Cargo is relatively low. 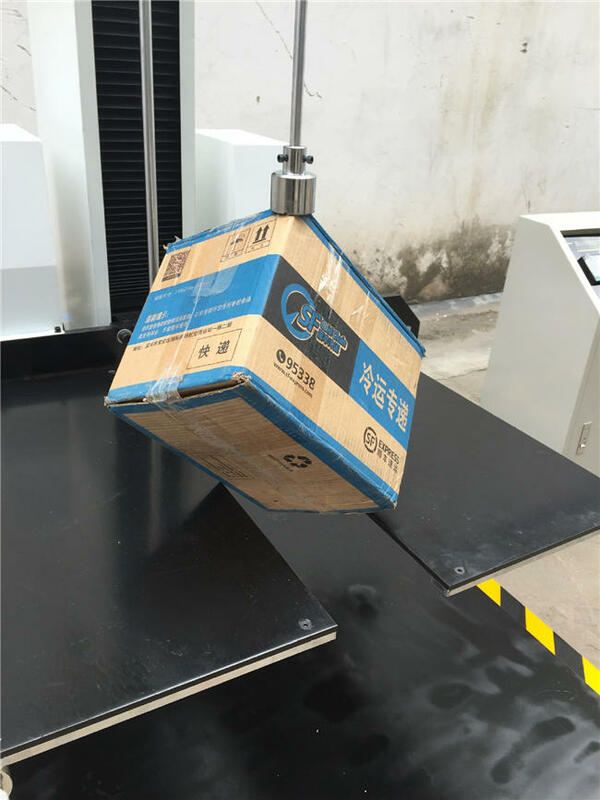 This drop tester is mainly used for larger package drop test. 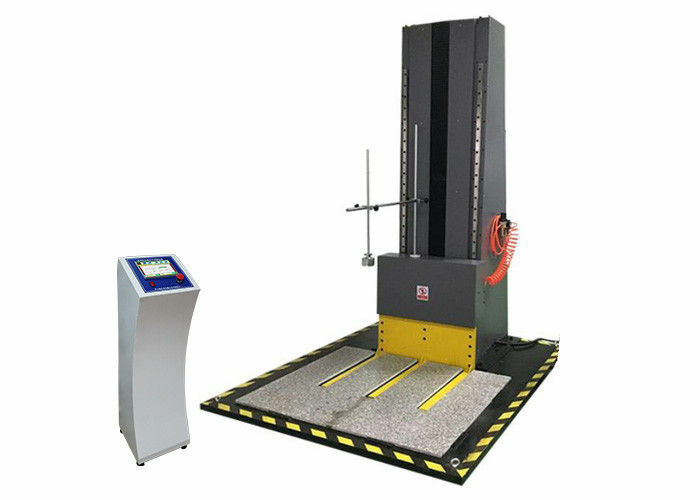 Zero height drop tester use a quickly moves down E fork mounting as bracket. The specimen place balance as the test requirement(plane, edge, angle). When doing the test, the bracket do high-speed downward movement before the specimen, acceleration >3g, it need guarantee the bracket separate with the specimen and realize free fall. The standard drop height range is 2.54cm-120cm. When the zero-drop test machine is in use, the electric cabinet is controlled to enable a package part fixed between the lifting bar and the support frame to drop to the impact base plate, so as to carry out impact test on edges, corners and planes; the height of the lifting bar can be adjusted according to actual needs, so as to acquire test parameters in different situations; the package part has low probability of slippage during tests; and the zero-drop test machine is particularly suitable for doing drop tests on cubic package parts, and is cleaner, more environment-friendly and space-saving than the traditional hydraulic lifting structure.